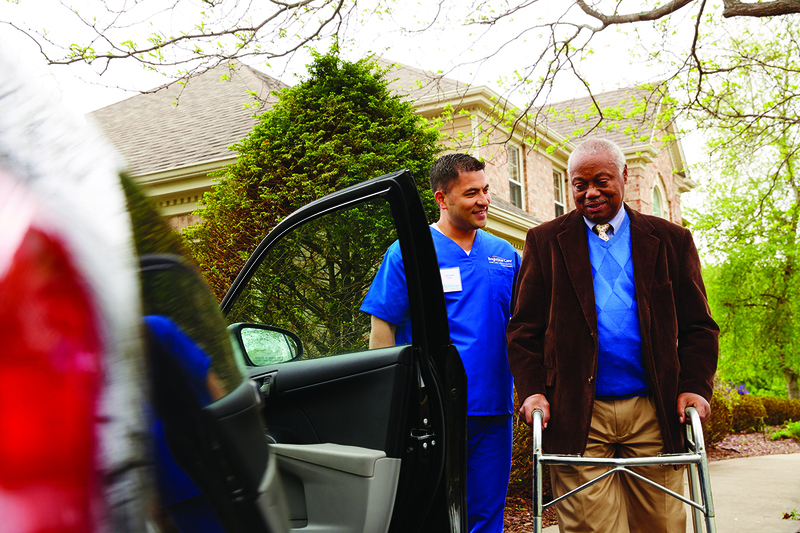 Our specially trained, bonded, and insured caregivers can transport you in their vehicle or your own vehicle (conditions apply). We will assist you to the vehicle and accompany you during every moment of your trip, with your safety and well-being as our number one priority. When your trip is complete, we will get you settled back at your home. Our dedicated caregivers are ready to help. Call our Cincinnati office at 513.321.4688 for more information. Please note: Transportation services are only available in conjunction with additional companion and/or personal care services. If you require transportation alone, without the need for additional care services, contact us, and we can recommend a local company that provides transportation services only.